A Yaldhurst lifestyle property sold recently for 62 per cent above its 2013 rateable valuation. Min Cookson of PGG Wrightson Real Estate, who marketed the one hectare School Road property, said the sale was the most remarkable she has seen in 17 years of real estate. 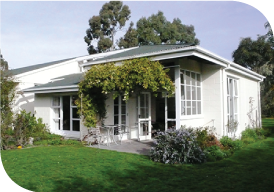 "Demand for property on the western outskirts of Christchurch is phenomenal. This is a well-established four-bedroom family home, with sleep-out and double garage, on a property with four paddocks." "We ran a series of open homes that had 30 families going through in half an hour, and 120 families viewing the property in total." "Selling by a deadline tender process, we received eight separate offers. With a November 2013 rateable value of $580,000, the property changed hands on 20 November 2014 for $940,000, leaving both parties exceedingly satisfied," she said. Min Cookson says that, although the property was well-presented, its location was the main selling point. "Its proximity to the city and the airport was what drove such strong interest, which bodes favourably for the new subdivisions in development between and around Yaldhurst and West Melton. Changes to Christchurch since the earthquakes, as well as ongoing growth on the western fringes, have had a strong influence on the local lifestyle property market, as this sale abundantly demonstrates," she said.